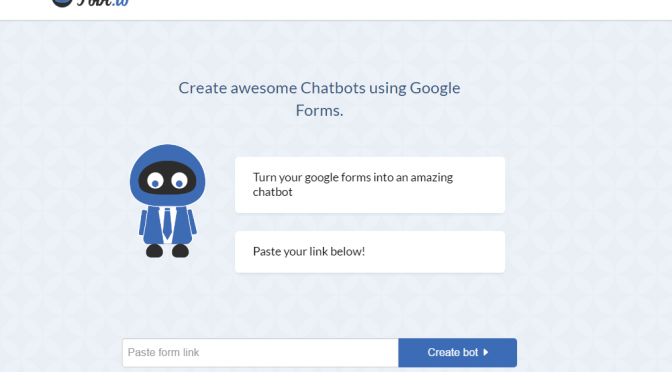 Evaluating fobi.io Chatbot Powered By Google Forms: AI Digital Agent? Interesting approach to an AI Chatbot implementation. The business process owner creates one or more Google Forms containing questions and answers, and converts/deploys to a chatbot using fobi.io. All the questions for [potential] customers/users are captured in a multitude of forms. Without any code, and within minutes, an interactive chatbot can be produced and deployed for client use. The trade off for rapid deployment and without coding is a rigid approach of triggering user desired “Goal/Intents”. It seems a single goal/intent is mapped to a single Google Form. As opposed to a digital agent, which leverages utterances to trigger the user’s intended goal/intent. Before starting the chat, the user must select the appropriate Google Form, with the guidance of the content curator. Another trade off is, it seems, no integration on the backend to execute a business process, essential to many chatbot workflows. For example, given an Invoice ID, the chatbot may search in a transactional database, then retrieve and display the full invoice. Actually, I may be incorrect. On the Google Forms side, there is a Script Editor. Seems powerful and scary all at the same time. Another trade off that seems to exist, more on the Google Forms side, is building not just a Form with a list of Questions, but a Consumer Process Workflow, that allows the business to provide an interactive dialog based on answers users provide. For example, a Yes/No or multichoice answer may lead to alternate sets of questions [and actions]. It doesn’t appear there is any workflow tool provided to structure the Google Forms / fobi.io chatbot Q&A. However, there are still many business cases for the product, especially for small to mid size organizations. * Business Estimates – although there is no logic workflow to guide the Q&A sessions with [prospective] customers, the business still may derive the initial information they require to make an initial assessment. It seems a Web form, and this fobi.io / Google Forms solution seems very comparable in capability, its just a change in the median in which the user interacts to collect the information. One additional note, Google Forms is not a free product. Looks like it’s a part of the G Suite. Free two week trial, then the basic plan is $5 per month, which comes with other products as well. Click here for pricing details.